Good Data Makes Great Wine. It's not romantic, but at eVit we believe that efficiency and planning make for an amazing end result. You appreciate that great winemaking begins with great grapes. Whether you own the vineyard or purchase the grapes, managing them to their fullest potential is key. Understand your vineyard in a whole new and broader context. Spotting trends puts you in the driver's seat by being proactive. eVit brings people and your data together to get the job done. You’re responsible for managing people, clients, operations and the vineyard. That’s a lot and your time is valuable. Update, view and share your data in real time, at the desk, in the truck or in the field. You, your team, winery clients and grower clients can input your data, in the field, as it is being collected. No more waiting for reports from others to make your decisions. Use our app and free up some time for other important tasks. You don't need another POS, wine club, inventory tracking or accounting software. You need an app that is easy and intuitive to use, that brings real viticultural data to all the members of your team in an understandable format. Make better and more timely management decisions for both grape and wine production. Bring your data to your business partners (both production and sales and marketing) to leverage your relationships to a higher level of cooperation. Finally, eVit helps you to translate the assets that are your product, be they grapes or wine, to the market place, in easy to understand and compelling message that distinguishes you from others. When anyone in the organization has a question about the vineyards, you’re the one they call. Are they on track with last year, have we made it through bloom? With eVit, you have all of your information in one place, easy to find and share. Your team members rely on you to track data and spot trends in order to respond, as early as possible, to offer efficient options, to grow great grapes to make great wine. With information, you can anticipate the vines’ response to this growing season, based on historical cycles, and be prepared. Have all the information you need, at your fingertips, so you can move quickly through your long list vineyard visits, and finish before dinner! You are the bridge between the vineyard and the winery, regardless of which one you work for. The winery purchases grapes from the vineyard, which represents a valuable asset, and you are responsible for cultivating this relationship toward a “win/win” conclusion at harvest. No pressure! Prepare yourself by arming yourself with information (and a lot of diplomacy) and track your communications and document your vineyard observations over the course of the growing season. After harvest, you can produce an accurate history of the season and review the highlights with the team, supporting successes, acknowledging areas for improvement and develop a solid plan of action for next year. Wine Country isn't always where you start, but if we're very fortunate, its where we end up. Greg Bjornstad, founder of eVit, comments on his experiences and how he came to live in the Sonoma/Napa community. I received my B.S. in Agronomy, with a Foreign Service emphasis, intending to work in a USAID or Peace Corp organization. Instead, I wandered a bit, living in the Caribbean and the Big Apple, and in the process, was introduced to fine wine. I visited the North Coast Wine Country and UC Davis and found myself enrolled in the M.S. Viticulture program one year later. I was fortunate to be able to take both viticulture and enology classes and learn about both sides of production. I interned at Newton, in St Helena and, after graduating, Chateau Lafite in Bordeaux. While in Europe, I visited my international UC Davis classmates in Germany, France and Spain, which was an equally priceless experience. During my tenure at Joseph Phelps Vineyards, I was invited to volunteer as a vineyard advisor to Russia to assess the potential of commercial grape and wine production near the Black Sea. 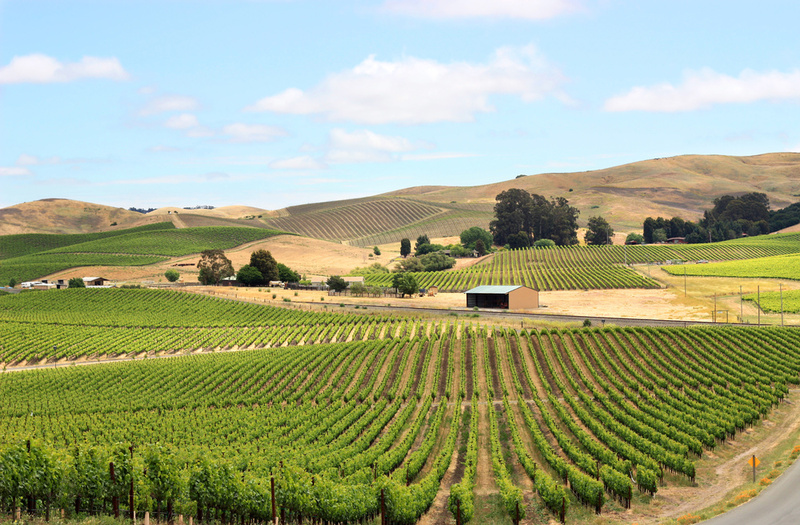 After leaving Flowers Vineyard and Winery, I launched my vineyard consultancy, working locally and in the Santa Lucia Highlands and helping a client in South Africa with new vineyard acquisitions and tune up the existing grape suppliers. After that, I worked with a client in the Hunter River Valley of Australia, visiting 2x per year for several years and was fortunate (again!) to be able to visit the wine regions of New Zealand. Receiving and sharing maturity sampling data at harvest is now so efficient! Results can be presented graphically, with options available to customize. From there, I can quickly and easily schedule new sampling routes, harvest dates and crews. Enter your email and we will contact you with more information about our App and how it can help you improve your product. You are almost finished. Please check your email to confirm subscription. eVit copyright 2015. Website designed by flight, LLC.